One of the many exciting features that Private Internet Access (PIA) provides is Port Forwarding on their P2P enabled VPN servers. 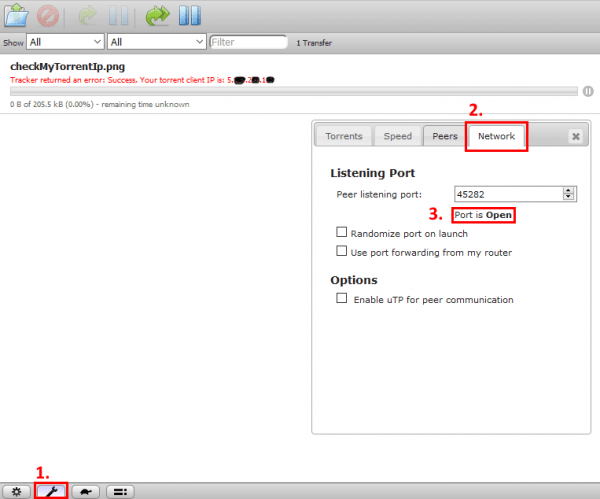 If you are using a private tracker and you need to have decent upload to maintain your ratio, or if your want to download torrents with low number of seeds available, you will certainly benefit from using an active (open) port in your BitTorrent client. Most VPN providers don’t allow port forwarding at all, even if they do, they charge extra for this feature or you can get port forwarding to work only using their proprietary application. Luckily, PIA has a very professional approach. With some script-magic, you will always have an active connection in your client, all this fully automated. When it comes to Split Tunnel VPN, things get more complicated since we need to handle iptables rules too, but we got that part covered too! You will be able to connect to considerably more seeds/peers. Since you can connect to more seeds/peers, you will be able to download torrents with only few seeders, and probably at higher speeds. Some private trackers require you to be active (have port forwarding enabled). 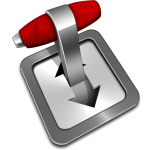 You keep all the benefits of using Split Tunnel VPN (selective traffic routing, Kill Switch), and you are still able to take advantage of the above listed benefits of running your torrent client in active mode. The only disadvantage of port forwarding is having an open port in your firewall, which always carries some security risk (not only for torrent clients, but in general). In practice, this should be just a minor security risk, but as a rule, it is best to have as few ports open as possible. You should be fine if you are using the well known clients like Transmission or Deluge. Note: since you are running over VPN server, your upload speed will be limited to the upload speed of the VPN server you use (exactly the same as with download). Configuring port forwarding without VPN is really a 3 minute job: you just open the selected ports in your router (or enable UPnP in you router and torrent client), and if your ISP doesn’t block torrent traffic or have all the ports closed, you are good to go. With VPN, and especially with Split Tunnel VPN, it is more complicated, but luckily a good VPN provider like Private Internet Access and our auto port forwarding script for PIA makes this process quite easy. We always recommend protecting your privacy by using a VPN provider if you are using torrents. You can also take advantage of Split Tunnel VPN features, like selective traffic routing and Kill Switch with our guide. However, we would like to keep the torrents alive, and also help those who are using private trackers. If you are using a VPN connection for torrents, everything you download and upload is tunneled over the VPN provider’s server in encrypted form. The open port is assigned by the VPN provider, in our case PIA, and it changes randomly to provide an additional layer of security. How does the Port Forward for VPN Script Work? PIA will assign an open port for their p2p enabled severs with port forwarding enabled. This port number can change after you reconnect to the VPN server (not necessary, but possible), or even when you are connected to the server. The script will acquire the port number from the PIA server. If you are using Split Tunnel VPN, then we have strict iptables (firewall) rules enabled. The script will automatically open the reported port number in the firewall for vpn user (and close the unused port number). The script will update Transmission with the acquired port number, no user interaction is required. Transmission will be updated with the new port number. Important: this script will work only with Private Internet Access, it will not work with any other VPN provider! Next step is to edit the script and add your PIA username and password and the Transmission username and password to the script. Hit Ctrl+X, Y, to Save and Exit. If you are not using Split Tunnel VPN, then just skip the following section and go to Test Port Forward Script section. We assume you followed our guides for configuring Split Tunnel VPN for Transmission. Once you have Split Tunnel VPN with Transmission fully configured and working, and you followed this guide until this step, you need to enable Split Tunnel option in the Port Forwarding script. Next we need to make a modification to the Split Tunnel iptables script called by OpenVPN. Now open Transmission WEB UI, and click on (1) Edit Preferences. Select the (2) Network tab. Transmission should report the port number you received back from the script (in our case Peer listening port: 45282), and you should see the (3) Port is Open message. If this is the case, then you have successfully configured Transmission with port forwarding. Now that the you have checked that the script is working fine, it is time to configure a Cron Job that will run the script at system boot and every two hours. Since we don’t know when the port number will change on a PIA server, Cron will run the script every two hours, and if the port is still the same, nothing will be done, but if the port number reported back has changed, the script will automatically update Transmission (and iptables if using Split Tunnel VPN). Output of the script will be logged to /var/log/pia_portforward.log file, and we also added a timestamp to each line. Finally, we need to configure log rotation, to keep the log file at reasonable size. I use daily rotation with compression, and I keep 7 log files (which means seven days). You can adjust this to your liking.